Welcome to Riverview Courts Lakeside homes for sale! Over the last few years, if you’ve been searching on the Internet for homes for sale in Lakeside, CA 92040, you probably found very little new home inventory available. Now all of that has changed. 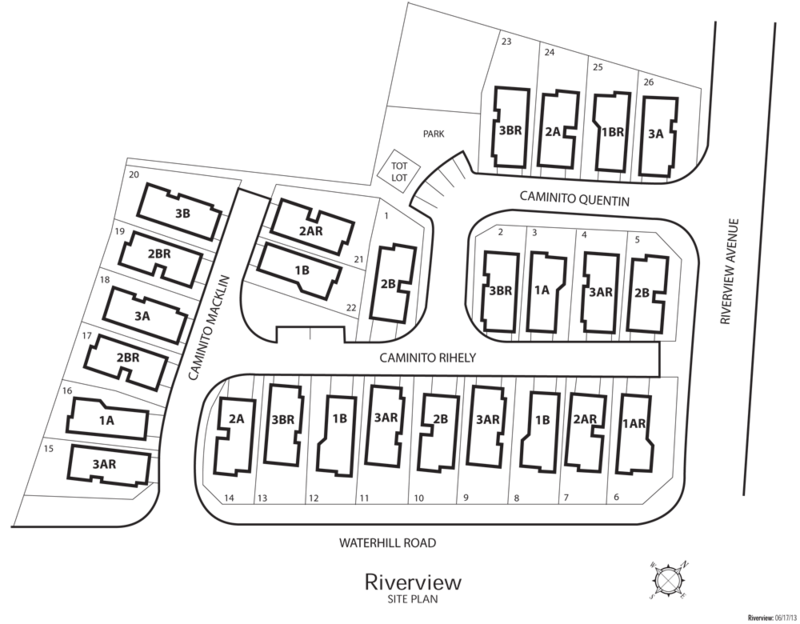 Quinn Communities presents Riverview Courts. Life is about living well and following your dreams. When you look for Lakeside homes for sale, at Riverview Courts, your dream of finding the perfect home can come true. Riverview Courts homes are functional and charming. 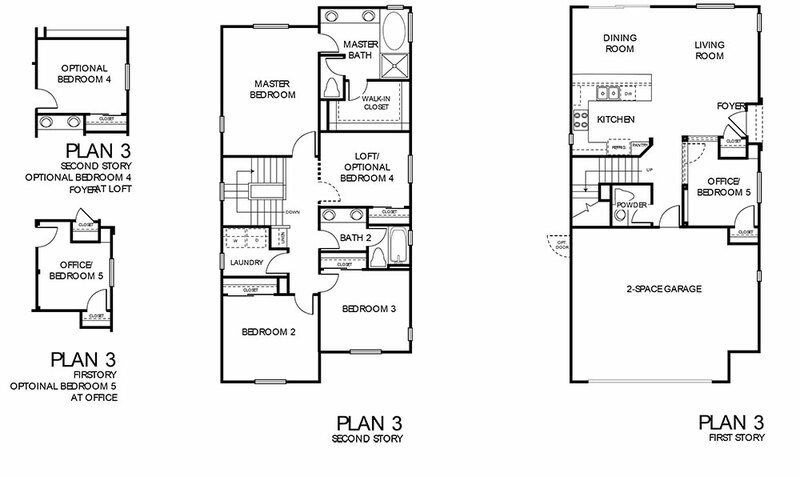 You get to choose from three distinct floor plans that range from 1611 to 1832 square feet of living space. With options from three to five bedrooms, you get lots of flexibility to purchase a home that fits your needs. When you compare homes for sale in Lakeside with other areas, you’ll find Lakeside to be a great place to live. It is a quaint community with almost perfect weather and with a population of only 21,000. Here you will get lots of sunshine and that rural feeling but with an abundance of urban amenities at hand. You might call it an ideal place to live. Riverview Courts homes for sale in Lakeside CA 92040 are almost equidistant to Santee and El Cajon and less than 30 minutes to downtown San Diego and the International Airport. Easy freeway access will also get you to a world of shopping and dining opportunities. Parkway Plaza in El Cajon, Grossmont Shopping Center in La Mesa and the Santee Trolley Square are all within 10 to 15 minutes away. Convenience is the keyword here. You’ll spend less time working and more time playing. Almost every imaginable activity is available when you live in this great new home community. If you love to golf, there are seven courses within a 20-mile range including Willowbrook, Mission Trails, Steele Canyon and Cottonwood golf courses. For a bit of gambling action, you have Barona Resort, Sycuan and Viejas Casinos close by. How about getting nostalgic and taking in a movie at the Santee Drive-In Theater just down the road or go digital and 3D at Regal Cinemas at Parkway Plaza or Reading Cinemas at Grossmont Shopping Center? For educational opportunities, you’ll be happy to know that Lakeside has six elementary and two middle schools plus the El Capitan High School. According to the Lakeside Union School District, El Capitan’s Advanced Program ranks the highest in the district. Grossmont College, Cuyamaca College and San Diego State University are all easily reached from your door. If there is a little bit of “Yippee Ki Yo” in your soul, you can get on your horse and join the Lakeside Rodeo and Western Days Parade, a big annual event in April. But if bucking broncos is not for you, there are many parks and a preserve in the area for hiking, biking, camping, picnicking and fishing. Get the life you’ve been dreaming about. Join other excited buyers that will be calling Riverview Courts – home. Riverview Courts presents functional single-family detached home designs that work with today’s lifestyle. Enter these lovely homes and be amazed by the versatility. The Plan One is a comfy size at 1611 square feet with three bedrooms and two and a half baths. This is a perfect home for singles or a start-up family. The Plan Two with 1690 square feet offers three bedrooms and two and a half baths plus an option to add a fourth bedroom. Your family can grow into this home or use the fourth bedroom as your office. 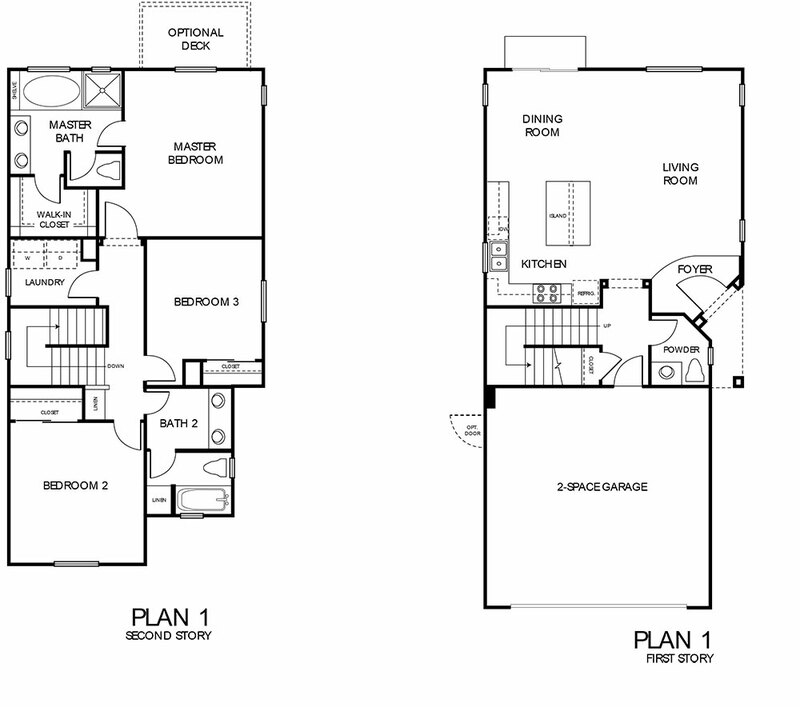 The largest Plan Three is spacious with 1832 square feet encompassing three bedrooms and two and a half baths. For anyone looking for a larger home, this one is ideal. You can add up to two extra bedrooms for a total of five or get creative with those extra rooms and define your own personal space or office or workout room and more. Charming Lakeside, California homes for sale from 1611 to 1832 sq. ft. These Lakeside California homes for sale are very impressive with two stories, generous living space, and flexible rooms. Master bedrooms are generous and come with a private bath that includes both a tub and separate shower and a walk-in closet. All homes come with a two-space garage and some plans have a deck or a deck option. With every step, you will see well planned living space with functional rooms and ample storage space. Kitchens are designed to be very efficient work areas. The Plan One and Two come with a handy island. Thoughtful design is what you’ll find in these Lakeside California homes for sale. Riverview Courts when completed will consist of 26 single-family detached new homes in Lakeside CA. This community celebrates a terrific location. Situated at the corner of Riverview Avenue and Waterhill Road, there are many conveniences close by. Within five minutes, you can be on your way to work, shopping or play. For an active lifestyle, Riverview Courts is a great place to live. There is an abundance of activities for all walks of life. For hikers there are lots of trails surrounding Lakeside. You can go easy and do Stelzer Park or for a tougher hike there is the 10.2 mile El Cajon Mountain hike, plus many more from which to choose. For mountain bikers and rock climbers, some of the best fun can be found at Mission Trials Park in Santee. Golfing is always a good way to get out and you’ll be pleased to know there are seven courses within a 20-mile range including Willowbrook, Mission Trails, Steele Canyon and Cottonwood golf courses. If you’re not much for the great outdoors, try your luck at several local casinos including Barona Resort, Sycuan and Viejas where they also offer dining and entertainment. Movies are always a good way to spend an evening and good viewing can be found at Parkway Plaza or Grossmont Shopping Center. 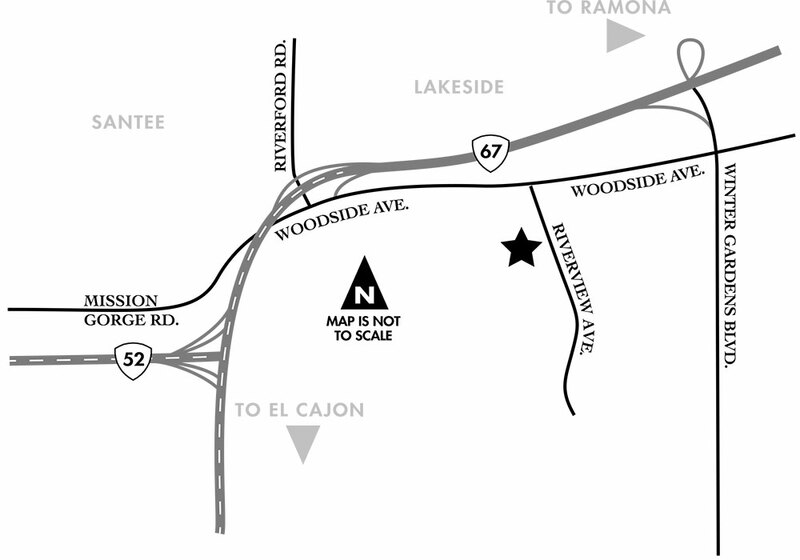 You can even take in a movie about two miles away at the Santee Drive-In Theater. We hope you’ll join us at Riverview Courts where life is about working less and playing more. Home buyers will be thrilled to find all the great amenities they will get when they purchase a home at this quaint community. Features that you normally wouldn’t find in houses for sale in Lakeside,CA are part of a standard feature package. A garage with drywall finish, 20” X 20” porcelain tile in select rooms, and 4” baseboard wall trim are all included. In stylish kitchens, you’ll find gorgeous granite counter tops, large kitchen islands and Kitchen aid appliances. So when looking for a perfect house for sale in Lakeside, CA, come to Riverview Courts. You won’t be disappointed. Maple cabinets with concealed soft-close hinges and drawers. In a constant endeavor to improve the quality of this community, the builder reserves the right to modify prices, specifications & features without prior notice or obligation. Quinn Communities recently announced that an Interest List is now forming for Riverview Courts, the newest Lakeside, CA real estate addition. These new singlefamily detached homes are located at the corner of Riverview Avenue and Waterhill Rd. When complete, there will be 26 attractive new homes including three distinctive models. It is anticipated that sales will begin in early 2014 and homes will be priced from the high $300’s to low $400’s. 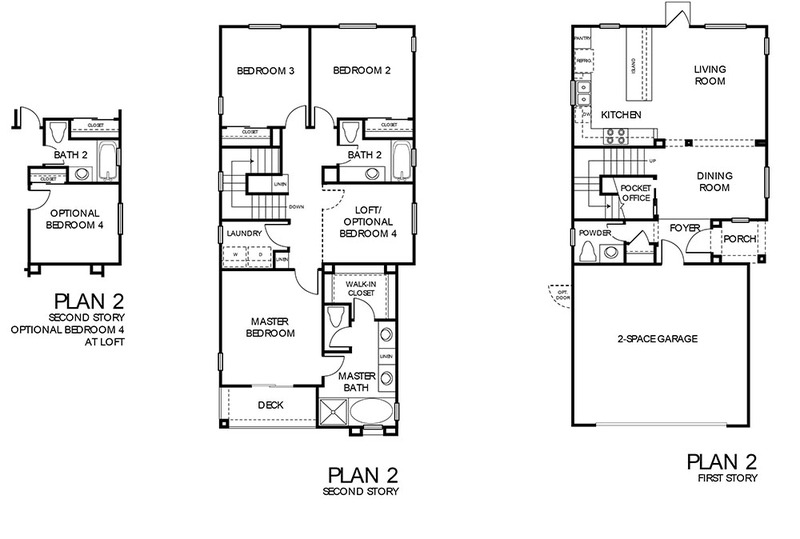 The Plan 1 is a two-story plan with three bedrooms and 2.5 baths. This lovely home comes with 1611 square feet of living space. The Plan 2 at 1890 square feet with two stories will offer three to four bedrooms and 2.5 baths. The largest plan, the Plan 3, is also a two-story home with a generous 1832 square feet. This home presents three to five bedrooms and 2.5 baths. Real estate in Lakeside, CA has been in a slump over the past several years but Riverview Courts is breathing new life into the area. The homebuilder expects a rapid sales pace once the homes are released. These homes are packed with many exciting features. Drywall complete garages with generous storage space, exterior decks on select plans and front-yard landscaping with auto sprinklers all maintained by the HOA are a few of the highlights. There is also a laundry room, 4” baseboard wall trim and 2 1/4” door casings that vary per elevation and 20” X 20” porcelain tile in select plans and rooms. To top it off the kitchens are decked out for a gourmet chef. Gorgeous maple cabinets with concealed soft-close hinges and drawers, Kitchenaid stainless steel appliances and a large working island in select plans comes standard. You can tell from the features list that these are quality homes built to last. Thank you for your interest in Riverview Courts. We make every effort to respond to our emails in a timely fashion. Please allow 24 to 48 hours for a response. We appreciate your patience.